The interview series marches on in our 8th installment. In this short interview we talk to Arla Williams. Arla recently released a book entitled My life with the Hairy People, it's a compilation of stories from her years of association with Bigfoot. She also took part in my recent film, Bigfoot: The Evidence Files, and provided some photos of Bigfoot. Tom: How long have you been researching/studying Bigfoot? AW: I don't consider myself a researcher even though I do document things. I have known about them for 58 yrs. Tom: What got you interested in Bigfoot, Was there a particular event that got you started? AW: I had my first encounter at the age of 6. Tom: During your research/studying of Bigfoot, have you ever encountered aggressive behavior or felt in danger from a Bigfoot? AW: I have never once felt any aggression or ever had a bad encounter. I believe that is because of my respect for them. I never push them or act disrespectfully while in the woods. Tom: It seems Skeptics are always ready to attack Bigfoot research, How do you deal with it? 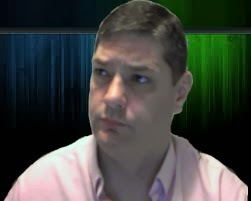 AW: I deal with skeptics as I do anyone. Everyone has a right to their opinion, even skeptics. I share what I have experienced in a respectful way. Tom: Would you like to see Bigfoot accepted and/or proven to the general public? AW: I don't believe that Bigfoot being proven by Science is the best thing for them. I am not sure man is ready for this to happen. Tom: What is your favorite time of year to research/study Bigfoot, When do you have your most success? AW: I spend time camping and documenting all during the year. Tom: Do you have a favorite Bigfoot story or report? AW: Leo Seltzer told some of the most awesome encounters he had taken from people. My favorite is where he had taken a report of two Bigfoot walking down the side of a road holding hands. He went to check out the area where the report came from and he found two sets of trackways walking beside each at a distance that would make holding hands a possibility. Tom: What would you be doing if you wasn't researching/studying Bigfoot? AW: I spend a great deal of time in the woods across the US. It is not all about seeing or documenting things related to Bigfoot. I love the outdoors and love camping. Thanks for doing the interview and taking part in the documentary film. Good luck with your research and keep enjoying the outdoors. It's been a pleasure to have Arla as a friend, she has always been warm and inviting towards me and with 58 years of experience she is very knowledgeable on the subject of Bigfoot. I wish her much success. 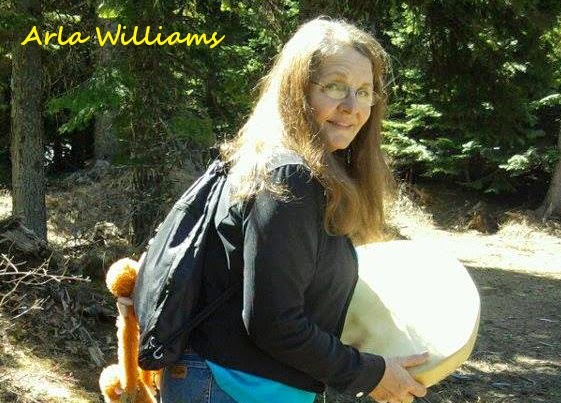 Arla Williams is a dear friend and people should know she has been the key to my understanding, teaching me respect for the BF people has propelled me into sightings and my own interaction. That story of two walking along the road holding hands proves that these creatures are more man-like than ape-like. I believe they have societies, language; etc. All the things necessary to live & love. I love them for what they have achieved. Living prosperously right under our "all-knowing" eyes. If you stop & think about it, it's quite laughable.